We have two great local events coming up that benefit Breast Cancer Action’s work for health justice for all women at risk of and living with breast cancer. Check out the details below. Sanctuary Bistro is a family-owned vegan neighborhood bistro that uses all local, sustainable organic ingredients to make delicious meals. 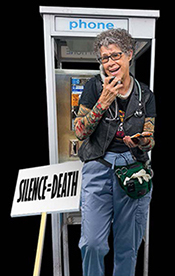 In this funny and intimate one-woman show, hospice nurse Elaine Magree finds herself in the chaotic socio-political center of the AIDS epidemic on the day of the Challenger explosion, confronting the relative value of lives. 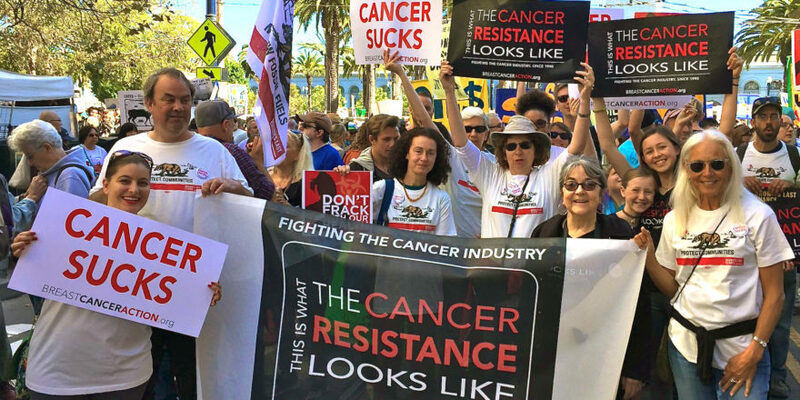 April 7th, 2017 at 8 p.m.
We refuse corporate funding from companies that profit or contribute to breast cancer, so this type of community support is critical to our work. Thank you to Sanctuary Bistro and Elaine Magree for their generous support! Get in touch with me if you have any questions about either event, or if you would like to host a fundraiser for Breast Cancer Action. ← 14 Million People Will Lose Healthcare. Take Action Now!